Blackburst offers a range of video production services from producing and directing television commercials to live shot studio rentals, company overview videos, explainer videos, film production, video marketing and corporate communications. 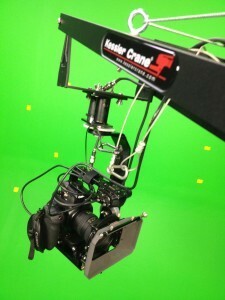 We can even produce your Kickstarter video to help get your new idea funded. Browse our portfolio to see some of our latest work. Searching for an Orlando video production company, but don’t see anything similar to what you had in mind? Rest assured. We’ve got you covered. With over 15 years of experience in Central Florida production, we have the skills, tools and drive to exceed your expectations. We promise to put our customers first. Working with Blackburst, you gain access to the best creative minds in the Orlando area and beyond. We aim to get it right the 1st time, every time. We have a proven track record of delivering creative, professional content on-budget and on-time. Welcome to Blackburst Entertainment! Blackburst provides video production services for projects large and small. 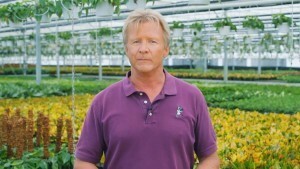 In 2012, Mercer Botanicals, needed a video to introduce prospective clients to their company. They wanted a simple but effective video to use on their website and to take to trade shows. After consulting with them on their script, a small crew from Blackburst spent a day shooting at their location. 2 days later, the editing was done and the video was ready to greet new customers on their website. It introduced Mercer Botanicals, who they were as a company, and how they could fill the needs of their clients, while maintaining a personal touch. The Mercer Botanicals video was a perfect fit for what they needed. They needed an Orlando video production company to produce a simple and efficient video… but sometimes clients need new and innovative production techniques to cut through the clutter and get their message noticed. The Page Law Firm [www.pagelaw.com], wanted to reach a younger audience and cultivate a contemporary, technology friendly image for the firm. Blackburst designers created a 3D virtual set with virtual video monitors and an open, high-tech look. Mr. Page traveled to Orlando to shoot the spots at The Blackburst Studio. We used matchmoving techniques to recreate real camera movement in the virtual world, giving the spots a modern, high-end look. Despite the complex demands of the shoot, Blackburst producers coordinated with designers and effects supervisors to take the project from concept to completion in under 3 weeks. We’ve shot national commercial campaigns with Usain Bolt in Jamaica and resort marketing videos in Mexico and Dominican Republic. Whether its corporate communications videos for Veterans Affairs in Washington DC, feature films in Oklahoma, documentaries in New York City, or Kickstarter videos in Orlando, you can trust us with your production needs. If you’re looking for a camera crew, you’ve come to the right place. 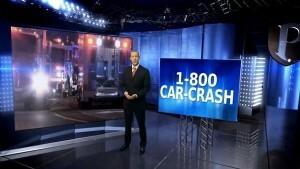 We have crews for Corporate, Convention, Public Relations, Press Events, Broadcast, Commercial and Documentary. We’ve been shooting in Orlando for over 15 years, but this is really just our home base. Our video crews travel domestically and internationally on a regular basis. We work in the Orlando, Tampa and Daytona areas as local crews and are within an easy drive of Miami, Atlanta, Pensacola, Tallahassee, New Orleans and The Carolinas. Blackburst has the gear you need!We have several video camera packages available from 1080 to 4k and the lighting and grip to get the job done. Our camera packages include everything from popular DSLRs to the EOS C100/C300, Varicam, RED and Sony Production cameras. HMI, Tungsten, Fluorescent and LED lighting packages along with industry standard grip gear cover all your lighting needs. Blackburst also has crews with aerial video experience and photo expertise. We have the latest professional drone packages, available in-house, at a moment’s notice for aerial video missions and if you’re job requires more speed, weight and power, we partner with aircraft partners to get you the aerial imaging platform you need.